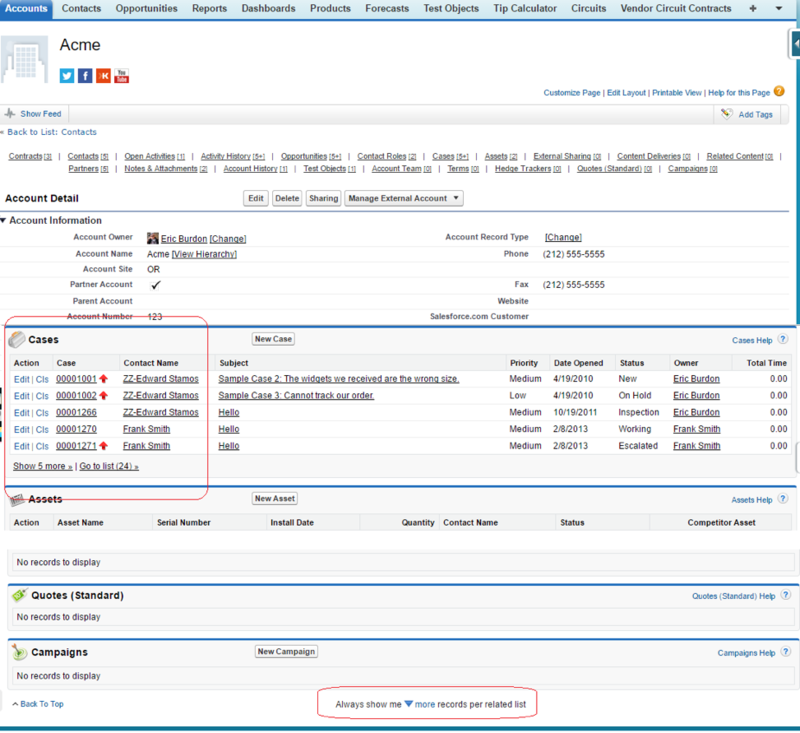 Have you always wished your page layouts would display more than 5 related list records? Today we will show you how to control the number of related records displayed because, YES, it is possible! 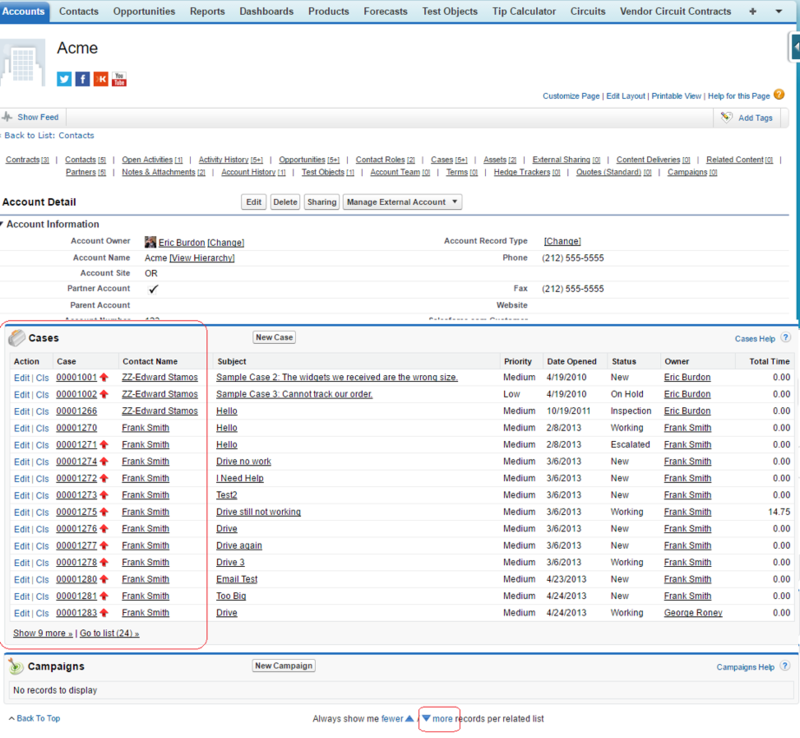 There is a great feature that has been around for quite a while in Salesforce Classic, but may have not yet been discovered by some: the ability to have your related lists display more than the default 5 records. This feature allows individual users to control displaying “more” or “less” related records for all object page layouts. You can click on the fewer or more option to control the number of records that will display in your related lists for all objects. Each click, will decrease/increase the current setting by 5. If you have a certain number of records in mind (from 5 to 100), and don’t want to click manually on the fewer/more links, this can be done more quickly by using the URL rowsperlist setting. This setting is sticky and will remain at the number of rows you define unless manually changed. This is true for navigating away from the page, viewing another object record or logging out of the system. Thanks for learning about how to control the number of related records displayed. We also recommend checking out this article regarding page layouts, called Salesforce Hover Link tips. Our blog is loaded with Salesforce tips so you’ll want to bookmark it so when you have a Salesforce question, you know where to go! StarrData helps you get the most out of Salesforce. If you would like information on the services we offer, call us at (888) 391-4493 x103.